The Summerhill neighbourhood is named after ‘Summer Hill’ house, a magnificent Regency cottage built in 1842, by transportation baron Charles Thompson. Summer Hill stood on the crest of the hill where the houses on Summerhill Gardens are located today. Thompson’s two hundred acre Summer Hill estate stretched from the present day Yonge Street to Mt. Pleasant Road. 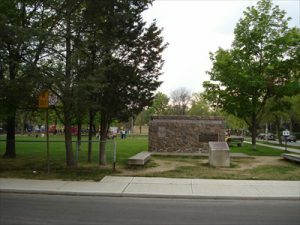 On this site Thompson established the ‘Summer Hill Spring Park and Pleasure Grounds’. This amusement park featured rides, games, swimming and a popular dance pavilion that was located inside the Summer Hill house. Thompson’s heirs subdivided Summer Hill in the 1860’s. From the 1880’s onward Summerhill’s development revolved around the railway. The first residents of this neighbourhood worked at the North Toronto Railway station which was established on Yonge Street near Summerhill in the 1880’s. This station – rebuilt in 1916 – is distinguished by its grand clock tower and now serves as the neighbourhood liquor store. In the 1920’s the Canadian Pacific Railway made Summerhill their main Toronto station. When Summerhill station closed this neighbourhood went into a period of decline that lasted until the Summerhill subway station opened in 1965. Summerhill has enjoyed a position of prominence among Toronto neighbourhoods ever since. Summerhill’s original housing stock consists of semi-detached and detached Victorian houses, and detached Edwardian style houses, built between 1880 and 1915. 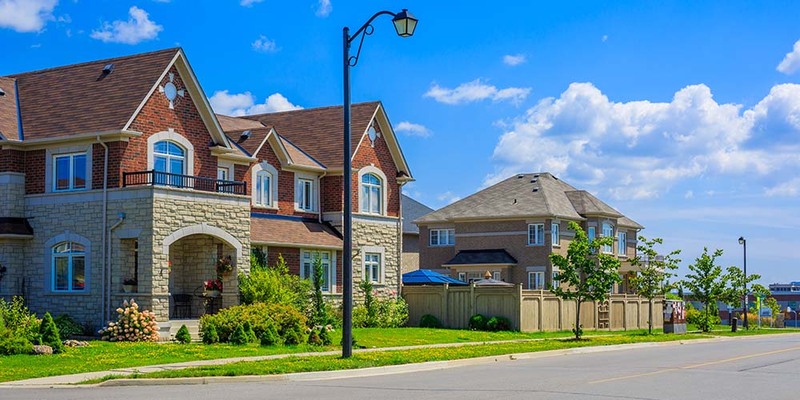 Many of these houses do not include driveways, however permit street parking is available from the city for a nominal annual fee. Summerhill also contains a large number of modern townhouses, and a handful of low-rise luxury condominium apartment buildings, built mostly in the 1980’s and 1990’s. Stretching roughly three kilometers and located in Toronto’s Rosehill neighbourhood, the Rosehill Reservoir provides one of the most beautiful walking excursions that you’ll likely find in the city. With three main entrances (at Mt. Pleasant Cemetery, at David A Balfour Park, and from St. Clair Ave. at theAvoca St. bridge) the reservoir is easily accessible for a person to go for a nice stroll or to walk their dog. The City of Toronto has built wooden staircases and walking trails on the west side of the reservoir for both convenience and to ensure that a little bad weather doesn’t stave off any potential wanderers. The reservoir is home to beautiful woods and flowers and even the odd wild animal sighting (even in Toronto this is one spot that you could still happen across a deer or fox). Below the Avoca St. bridge, there’s also some incredible grafitti art to be found. Stretching forty feet from side to side and nearly five stories from the ground, the underside of the bridge is covered in expansive spray-painted murals and tags, demonstrating a gorgeous juxtaposition between the simple colours of nature and the wide variety used in the art world. A small park near Yonge Street and St.Clair Avenue West that features a baseball diamond, a wading pool and a children’s playground. The park is named after Canada’s top athlete of the first half of the 20th century, MPP and MP Lionel P Conacher. This facility has street parking around the outskirts of the park. 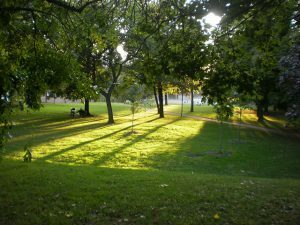 Ramsden Park has a large dog’s off-leash open area, baseball diamond, two playgrounds and wading pool. There is also a large outdoor rink, which doubles as a tennis court in the summer.